(THR) Following the massive web success of the Africa-focused charity group's advocacy piece, it faces charges of fraud and impropriety. By Wednesday morning, Invisible Children's hashtag-powered web documentary, Kony 2012, had swept the internet. By Wednesday afternoon, it was battling harsh accusations of misleading a captivated audience. Filmmaker Jason Russell's 30 minute film made ruthless Ugandan LRA Joseph Kony a household name by employing the juxtaposition of the director's young, impossibly cute son Jacob and the devastated child soldiers forced to fight in the African country's long-running civil war. Buoyed by excited youths and celebrity support from the likes of Zooey Deschanel, Busy Phillips, Simon Pegg, Chloe Moretz, Taylor Swift and Olivia Wilde, amongst many others, the film took in millions of views on Vimeo and YouTube, which caused some great consternation within the African advocacy community. Russell and his organization misdiagnose the problem in the country and promote a vastly flawed solution, critics allege. 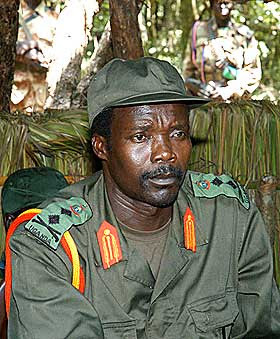 Kony has been out of Uganda since 2006, and the government that Invisible Children promotes is rampantly corrupt and uses a vast number of child soldiers of its own; they are not promoting freedom, but another evil. The group's finances have also been called into question, with charges that it only uses 31% of its budget to actively help children in Uganda. As people work to fundrase for Invisible Children, critics want to know where that money will go. Others accuse the group of promoting a sort of white man's guilt, a "neo-colonialism" that takes Africa's fate out of African hands. Invisible Children addressed many of these accusations in a post to its website late Wednesday. To those decrying their connection with the current Ugandan government, they say, "We do not defend any of the human rights abuses perpetrated by the Ugandan government or the Ugandan army (UPDF). None of the money donated through Invisible Children ever goes to the government of Uganda. Yet the only feasible and proper way to stop Kony and protect the civilians he targets is to coordinate efforts with regional governments."